Uber Mats save your space and give you a place to swatch and polish happily. Your workspace can definitely take a beating if you’re a nail artist. That’s why the Uber Mat from UberChic Beauty will be your new best friend. Use it to test color combos, make stamping decals, do a reverse stamp, and create dry marble looks all while protecting your workstation. The Uber Mat can be easily cleaned and withstands both food and acetone. 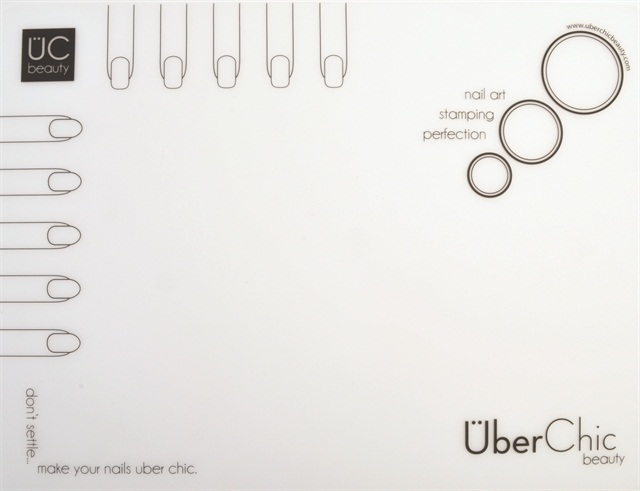 Uber Mat is 16 inches wide and 12 inches long, big enough for even the most ambitious nail art projects.